WESSA has paid tribute to a wide range of outstanding environmental achievements with the presentation of the organisation’s 2017 Annual Awards. The Awards were presented at the organisation’s 91st AGM, hosted by WESSA’s KwaZulu-Natal Regional Membership at the Protea Hotel Durban Edward on Saturday. 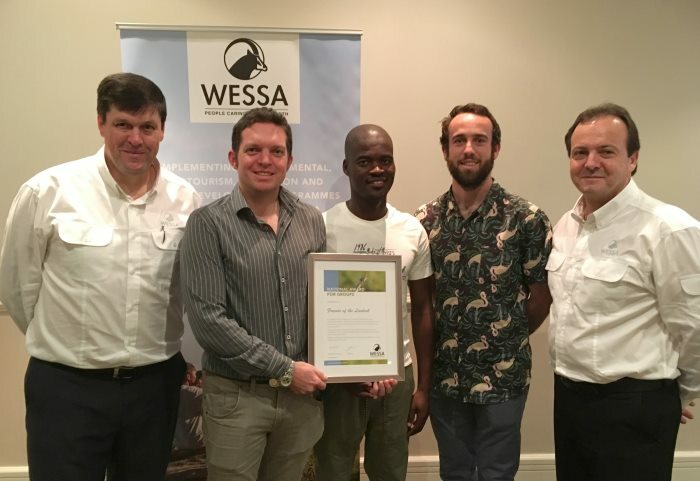 The WESSA Awards, which have been presented since 1974, enable WESSA to recognise and honour those who have made a significant contribution to the environmental conservation or environmental education sector in South Africa, in a sustainable manner. In keeping with the organisation’s ongoing investment in developing an empowered and enthused youth sector, a new Youth Category was included in the 2017 WESSA Awards and the initial recipient was Ayanda Lipheyane from Pietermaritzburg. 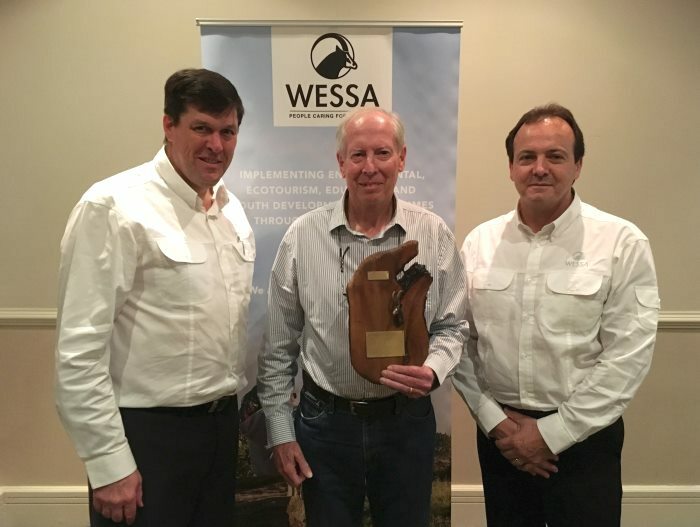 The WESSA Gold Medal was awarded to Dr Graham Avery from Cape Town, while the 2017 Group Award was presented to Friends of the Liesbeek in Cape Town. Individual Awards for 2017 were awarded to Jacques Tredoux from Kimberley and Sandy Camminga (in absentia) from Richards Bay. 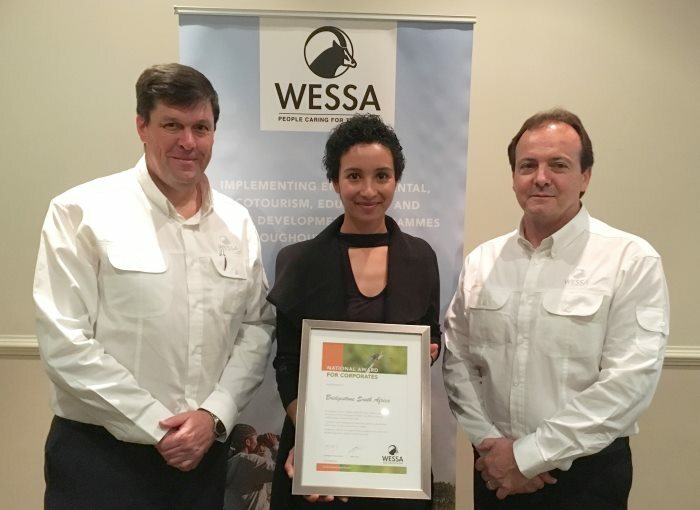 The three winners of the 2017 WESSA Corporate Award were Ford Wildlife Foundation, Eskom and Bridgestone South Africa. The WESSA AGM was held in parallel with Sharing and Caring for Water 2017, which is an important international water conference that was co-hosted this year by WESSA, the Global Participatory Water Management Network (GPWMN – an international water management network supported by the United Nations and UNESCO) and eThekwini Municipality. The programme for the WESSA AGM was structured around the conference theme and guest speakers included Emeritus Prof. Rob O’Donoghue, former CEO of iSimagaliso Andrew Zaloumis, Jean Senogles from WESSA Highway Branch and Westville Conservancy, Crispin Hemson from Friends of Pigeon Valley and Ayanda Lipheyane from water engineering company GroundTruth. In recognition of his actions as a key initiator responsible for the upscaling of community-based resource monitoring through the Enviro-Champs movement. Ayanda’s actions in strengthening citizen-based water, waste and sanitation management are now being adopted across South Africa. WESSA acknowledges him as an enthusiastic and thoughtful young leader. He is an inspiration to all of us in ‘Caring for the Earth’. WESSA Chairman Prof Michael Kidd, Dr Graham Avery and WESSA CEO Dr Thommie Burger. For his extensive and ongoing contribution to WESSA for over 30 years, and for promoting ‘People caring for the Earth’ through environmental and conservation science. In recognition of their progressive, community-managed local stream rehabilitation initiative, resulting in the conservation of the ecological corridor of the Liesbeek river while also creating employment for the rehabilitation of the riverine ecosystem. WESSA acknowledges their dedication to promoting public participation in being ‘People Caring for the Earth.’ They have effectively included the river community, residents and relevant stakeholders. This innovative and unifying work is an example to be up-scaled to other parts of South Africa. Phil McLean (Chair of Friends of Liesbeek), Mncekeleli Klaas (Supervisor) and Conor Estment (Project Manager). In recognition of his progressive and sustained environmental action through his career in teaching and as headmaster at St. Patrick’s CBC, Kimberley in the Northern Cape. 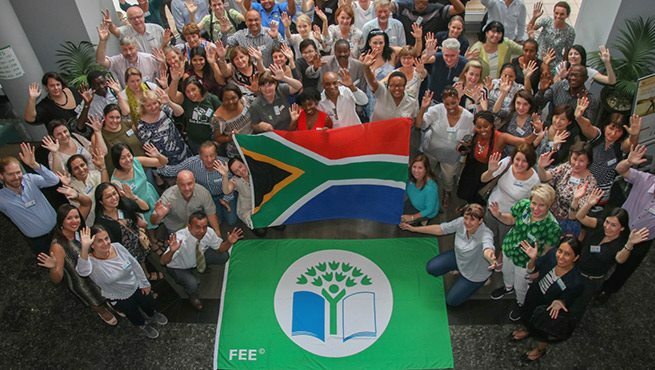 WESSA salutes his dedicated support for environmental education and the Eco-Schools programme. We commend him for creating awareness and action around environmental sustainability in schools and their surrounding communities. We acknowledge his Water Saving Project and his perseverance in ‘Caring for the Earth’. In recognition of her tenacity and committed environmental lobbying as the founder of the Richards Bay Clean Air Association. WESSA acknowledges her sustained track-record of promoting and securing environmental well-being. We salute her enthusiasm and community-engaged contribution to ‘Caring for the Earth’. Kelly Fester, Public Relations Officer at Bridgestone South Africa. In recognition of their ‘Wildlife and Roads Project’ (WRP), which, in partnership with the Endangered Wildlife Trust (EWT), is reducing wildlife deaths on South African roads. Through this work, Bridgestone is promoting a greater understanding of the impact of road infrastructure on wildlife. Bridgestone and EWT are especially acknowledged for this unique and effective approach to people ‘Caring for the Earth’. Presented in recognition of Eskom’s Biodiversity Centre of Excellence, a cutting-edge facility for integrating biodiversity considerations with legislative compliance. WESSA gratefully acknowledges the sustained support Eskom provided to the WESSA Energy and Sustainability project for over 25 years. WESSA further acknowledges their commitment and responsibility to manage and mitigate the impact of Eskom’s activities on biodiversity and ecosystems.